Jacqueline Levering Sullivan is a retired professor of writing who founded and directed the Writing Center at Pitzer College in Claremont, California. She is also author of both Annie’s War and its newly released sequel, A Less Than Perfect Peace. Years later, some of those memories came back to me one evening during a nightly news report about the children of parents who had served in Iraq or Afghanistan and who had returned home either physically or emotionally damaged — or worse, both. One young face stayed with me long after the news was over. A blond-haired little boy, no older than eight or nine, stared directly into the camera talking eagerly about what he would do to help his father get better so their lives could return to normal. Since questions like these are sometimes best addressed by setting them in an historical context, I decided that this would be Annie’s story to tell. A Less Than Perfect Peace takes place in 1950 — four years after the events of Annie’s War — but the story of her family’s struggle to cope with the aftermath of war is not unlike that of many families today. The invisible wounds of war are as painful and challenging in 2014 as they were in 1950. 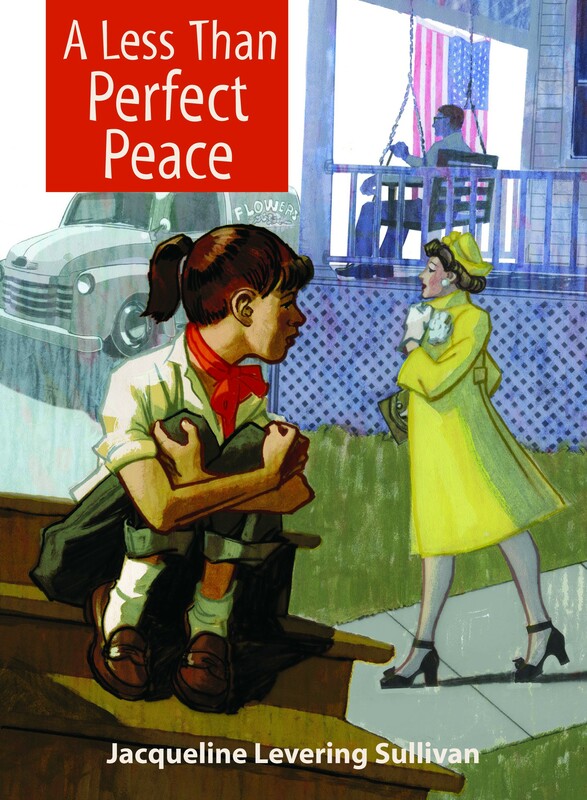 Click to order Jacqueline Levering Sullivan’s A Less Than Perfect Peace.